Dark is coming in 2 weeks! Are you prepared? X-10 is watching. Are you prepared? Dark is coming… and it may not let go! 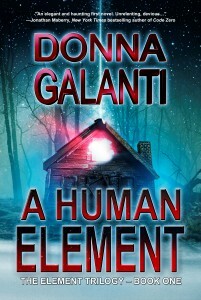 Two weeks from today my paranormal suspense A HUMAN ELEMENT is released in paperback and e-book. Like dark mystery and murder with a dash of steam? Then you’ll like X-10 who is “a killer so evil you can’t help but be afraid,” says Janice Gable Bashman, author of WANTED UNDEAD OR ALIVE, nominated for a Bram Stoker Award. 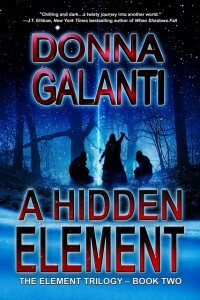 A HUMAN ELEMENT releases on 3-15, The Ides of March, which I find fitting. This is a festive day dedicated to Mars, Roman god of war. It’s also best known as the date on which Julius Caesar was killed in 44 B.C. Caesar was stabbed (23 times) to death in the Roman Senate by a group of conspirators. Now this is X-10’s kind of style. X-1o is coming and here he is doing what he does best. Killing. The woman squealed and laughed as Jimmy went back to his work. X-10 stepped toward the tent, standing right outside it. In one fluid movement, he reached his hand in and grabbed Jimmy by the neck. He pulled out the man, shrieking. The woman screamed. “Should have finished sooner, Jimmy.” X-10 broke his neck in one snap with his hands and threw him in the brush. The naked woman rushed to the door but X-10 shoved her back in. He bent down inside the tent. The woman stared at him and screamed at his gruesome figure. X-10 grinned at her as he slapped a hand over her mouth. He thought montauk-monster.com/pharmacy/celexa about ravaging her before he killed her but repulsion overcame the urge. She was a human whore, unclean and used by another. He snapped her neck as he had done to Jimmy. He never knew her name. Too bad, he thought. He left her there spread out and ripped the tent apart looking for food. He found none inside, but did locate their food bag hanging fifty feet away in a tree. He ripped it down and gorged on nuts, candy bars, crackers, and cheese. He washed it down with their water and looked at the mess he made. He felt satiated now and full of energy, and so he mustered his powers to dig one deep grave. It needed to be wide enough to fit both of the lovers and their gear. He sat and moved his hands to work logs and rocks to dig. In a short time it was done. He placed the tent and their other belongings in first, and then draped them over it side by side. “So the lovers can be together in death too.” He laughed long and hard. After dumping the bodies in the grave he covered them up and continued along the trail. It could take the authorities’ weeks to find their graves, if they ever did, across thousands of acres of national park. “All in a night’s work,” X-10 quipped to himself and raced along the trail, a candescent monster dashing under the moon toward its prey. Can’t wait! 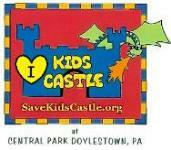 Also looking forward to you guest-posting on my Idea City blog. Me too Catherine – now to finish the post for your date! Thanks Stacy! looking forward to your awesome website being the first stop on my blog tour!